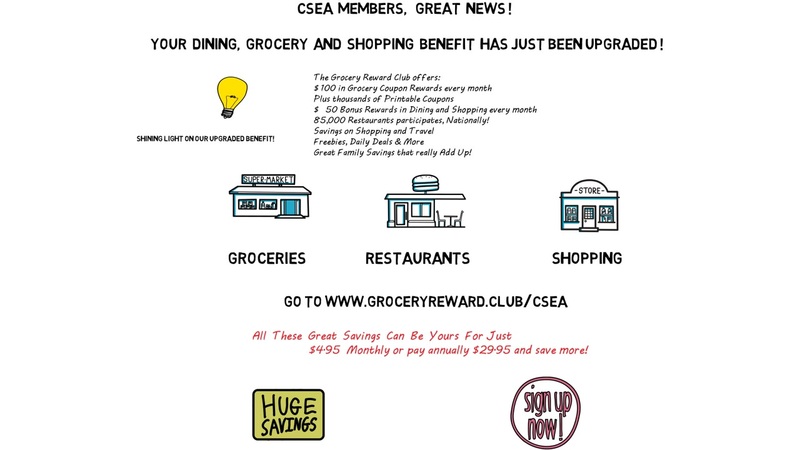 You've Got an Exclusive Offer From... CSEA! That's up to $1,800 in annual savings! My billing and member information are the same. I've read and agree to the offer terms. *We're sorry, but this offer is not valid in Iowa, Ohio, Vermont, or Wisconsin. Welcome to the Grocery Reward Club program! We've designed this program to help you and your entire family save big on groceries, dining, and more! Login now to access your benefits and begin saving.